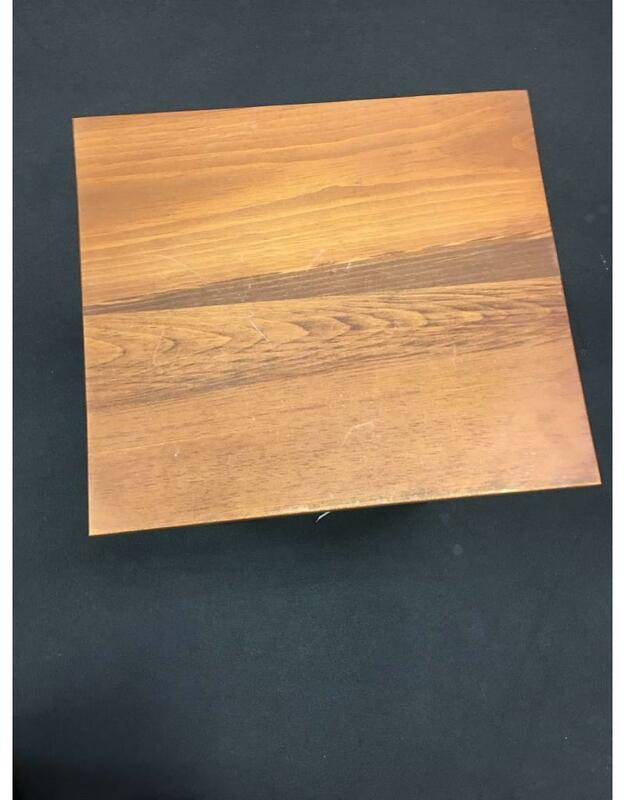 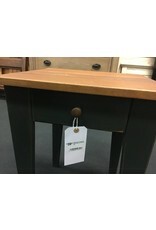 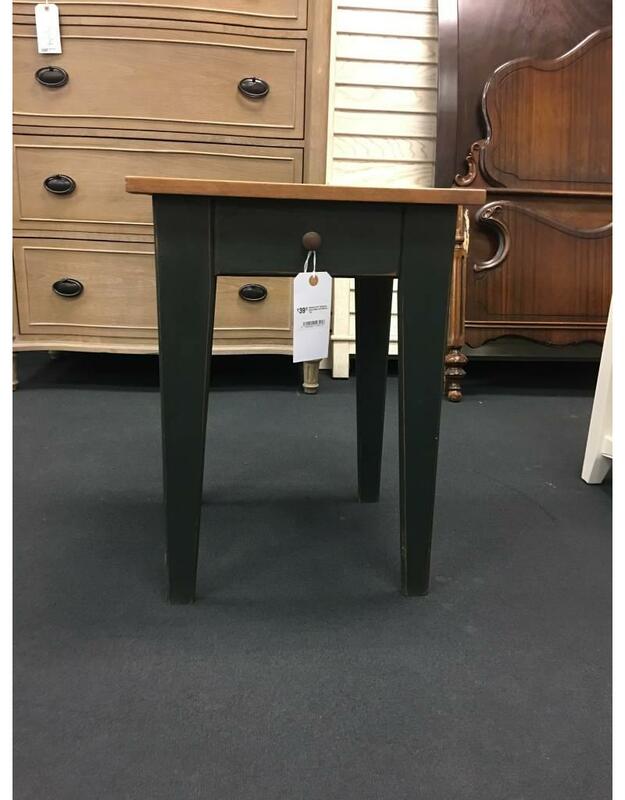 Used end table in like new condition. 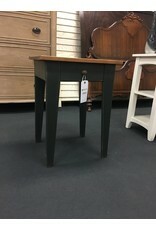 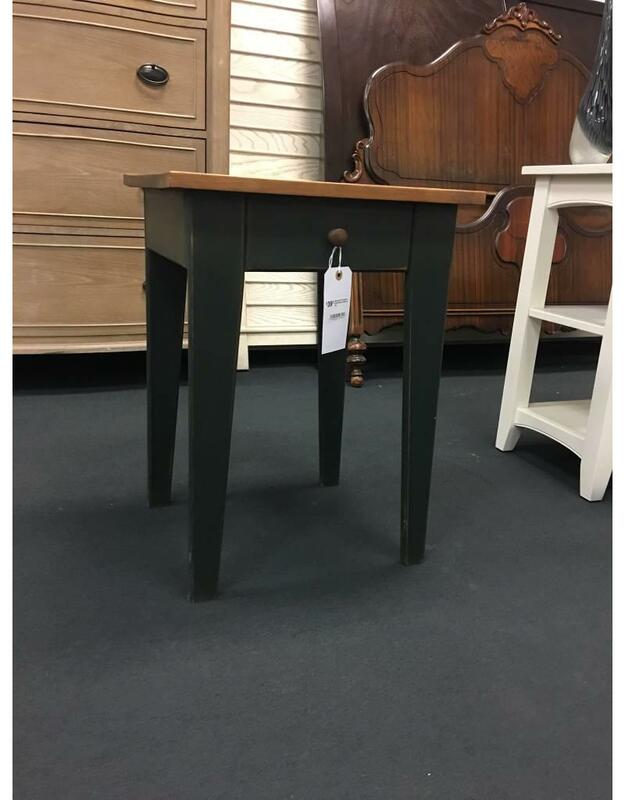 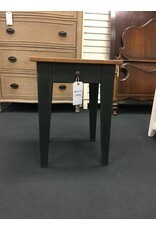 The base of the table has been painted green with an overall matte finish (drawer is false) while the top has a golden hued stain. 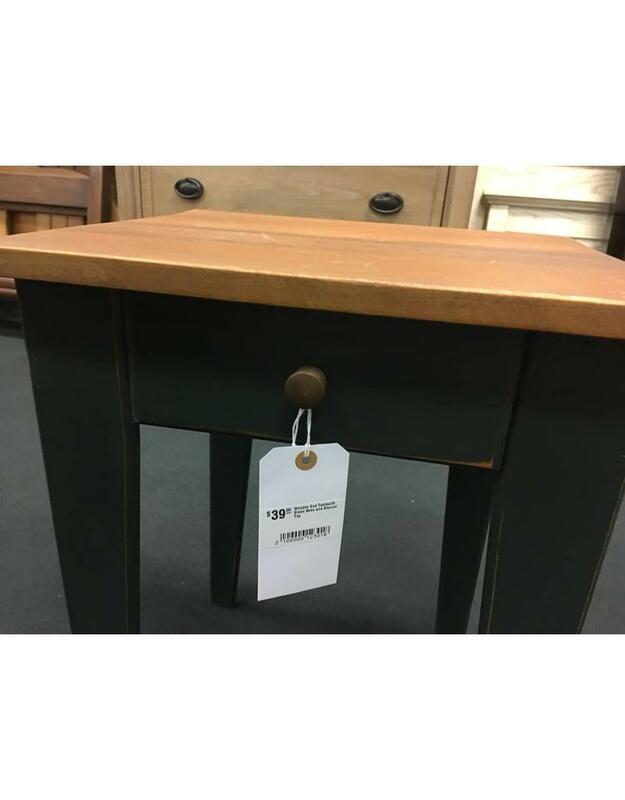 Perfect in a country or primitively styled home! 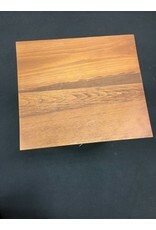 18" x 16" x 24"